Legendary racing driver Mario Andretti received the prestigious award during a special tribute reception on the 50th anniversary of his Indianapolis 500 victory. 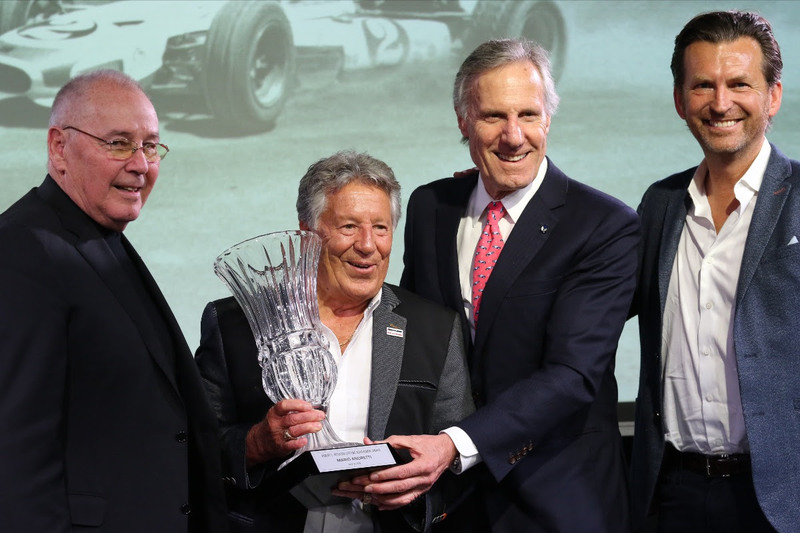 The Petersen Automotive Museum presented the coveted Robert E. Petersen Lifetime Achievement Award to racing driver Mario Andretti at a special gala reception celebrating the 50th anniversary of his historic Indianapolis 500 win on April 10, 2019. 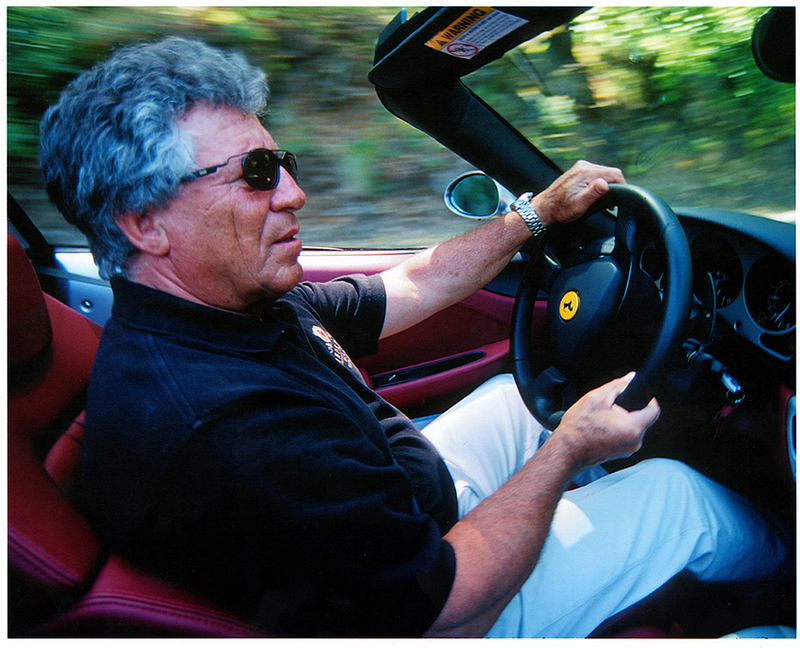 Mario Andretti’s racing career is one of the most illustrious in history and is considered by many to be the greatest race car driver in the history of the sport. The world watched as he won the Daytona 500, the Indianapolis 500 and ultimately the Formula One World Championship, an unprecedented trifecta. No other race car driver has ever won all three titles. Andretti took the checkered flag 111 times during his career – a career that stretched five decades and across six continents. The Robert E. Petersen Lifetime Achievement Award is the highest honor the Petersen can bestow. Previous recipients of the award include Richard Petty, Dan Gurney, Art Chrisman, Carroll Shelby, George Barris, Andy Granatelli, The Ford Family, Vic Edelbrock, Jack Roush, Ed Iskenderian, Speedway Motors founder “Speedy” Bill Smith, So-Cal Speed Shop founder Alex Xydias, NHRA founder Wally Parks, and engine builder Ed Pink. In addition, the event featured a Q&A session with Andretti hosted by racing driver Justin Bell, a special 3-car display, a video presentation on Andretti’s accomplishments, live entertainment, a gourmet 3-course dinner by Drago Ristorante, a VIP meet and greet session and a live auction. For more information about the Petersen Automotive Museum, please visit www.Petersen.org. The Petersen Automotive Museum Foundation The Petersen Automotive Museum Foundation is a non-profit 501(c)(3) charity. The Museum is located at 6060 Wilshire Boulevard (at Fairfax) in Los Angeles, California, 90036. Admission prices are $16 for general admission adults, $14 for seniors, $11 for children ages 4 to 17. Active military with ID, personal care attendants and children under four are admitted free. Museum hours are 10 a.m. to 6 p.m. For general information, call 323-930-CARS or visit www.Petersen.org.